Hard work is the only key to reach the success you dream for and one such example to prove this point is Journey of Tanmay Dubey's 'Just Six Evenings'. From rejection to getting picked by the giant of the industry, this book has a lot to say and achieve. Let's have a look at this phenomenal journey that inspires us all. Summarizing my-self into a few short words has always proven somewhat difficult to pen down. The more I contemplate, the more sensibilities and abilities I discover in me; I am Spiritual, I am a runner, I am a cyclist, I am a Writer, I am fun loving, I love reading, I love watching films, I work in a reputed MNC, I am a loving husband and a doting father to a cute little girl. Tell us something about your school and college life. Most of my education has happened in cities like, Rewa, Satna and Jabalpur in Madhya Pradesh. Growing up in these cities influenced the person I am, my sensibilities and my characters. Life in school and college was fun-loving, easy and aimless. How your life has been in the corporate world so far? 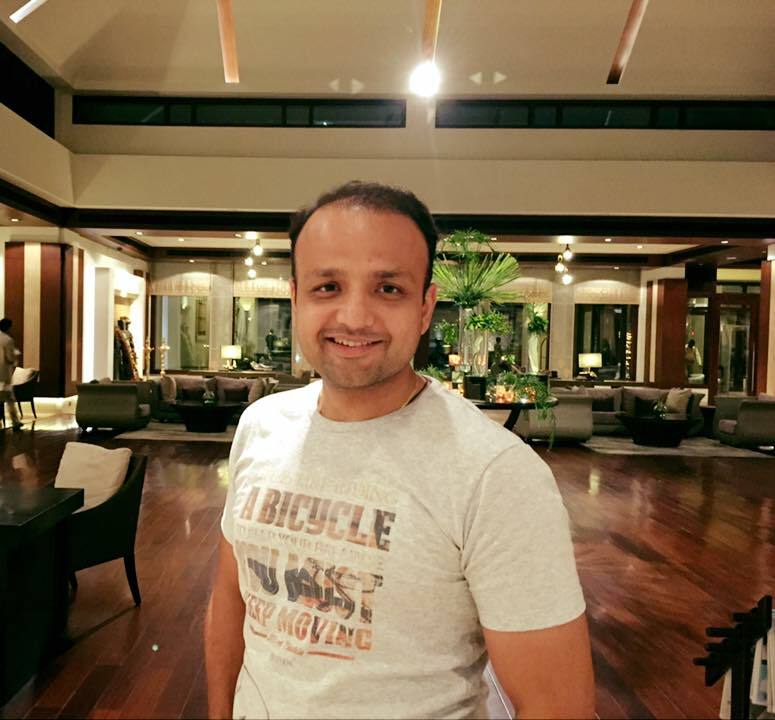 The life in corporate world so far has been very intense, challenging and competitive. 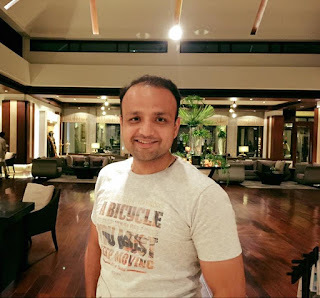 I now realize why most of the MBA colleges make you work so hard, they are training you to be more competitive and be a winner when you will work in the corporate world. Every day is a new learning for me. How did writing happen to you? How was your journey of penning down a story and then getting it published? I have undergone a tough time getting my book published. Publishing is a business and not many involved in this business are honest. With traditional publishers taking time to evaluate your manuscript, because of the sheer volume of scripts they receive, lot of self-publishing houses have come up offering printing services. Offering Self-Publishing is a money-making tool by the publishers where they charge for the cover design, for basic editing, for covering the print cost of the book and lot of hidden costs. I too had a tryst with one such Publisher, but I wasn’t too happy with their end results, so although they got the book released in February 2014 it cost an exorbitant and unheard of Rs. 1000 and a few hundred copies. Letting them go, since the rights to the book were with me, I continued my quest for a good publisher and finally received a call from Rupa Publications. They liked my manuscript and post some editing in the second edition and with a brand new look; they were kind enough to publish it. So it was quite a roller coaster ride to get published first time. My advice to writers that want to get published would be this: Don't be impatient. If your writing is good and your efforts are honest, dreams do come true! Who has been your inspiration throughout your journey so far? Everyday life experiences are my source of inspiration. Be it my writing or be it my understanding of life. I have been inspired by countless writers, friends, and colleagues. Every human being has a quality in him or her. We have a tendency to find fault with anyone we meet. I look at positives in any person I meet and try to imbibe that quality into me. Who is that one author you look up to and any such book you read for motivation? What are your plans up the sleeve for your future? I would love to see my books turning into blockbuster films. Given a chance I would like to write screenplay for films and direct a blockbuster film to win a filmfare award. Any one such review that is very much close to you which you would like to share? I am still awaiting the same. Which character of ‘just 6 evenings’ is close to you and why? 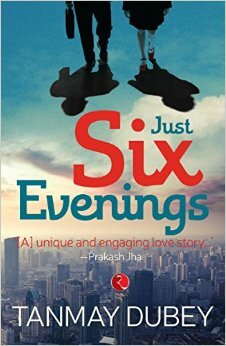 Is your debut book 'just six evening' from any real life story? The episodes and characters in the book are inspired by real life instances and characters in the modern corporate world. Any message / suggestion from your end for your readers / friends / well wishers. The motto of my life it to live in present, with as much awareness as you can. I do not expect anything from anybody as expectations lead to dissonance. I believe in being positive and creating positivity around myself in my talks, writing and among the people whom I meet. My suggestions to budding writers is to have patience. If your writing is good and efforts are honest dream do come true ! We wish great success to the author and would like to thank readers for dropping by. Thank You.